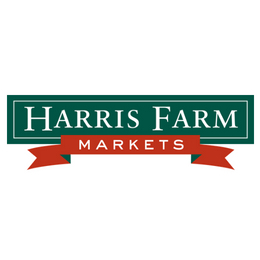 At Harris Farm Markets, we don’t just respect nature, we’re driven by it. Our prices, our produce, our specials– all determined by nature. It enriches everyone and everything. Which is exactly why we’re doing our best to make it all it can be. From sustainable initiatives like Imperfect Picks, to showing love for local farmers and producers through products such as our Farmer Friendly Milk, we believe that all our actions can make a real, positive difference. And we believe that moving with nature isn’t just better for the environment. It’s better for our customers too. ‘Cause sometimes nature sees fit to provide us with a bounty of blueberries. And we think that’s pretty special – so we put them on special! For over 40 years we’ve remained 100% family owned and operated. We’re 20 (and counting) stores across Sydney and NSW and home to over 1,500 wonderful employees all with a common purpose, to reconnect Aussies with the joy of food. It’s this purpose that see’s us continue to bring the best that nature has to offer to you our customers each day. Because we stand for more than just the good food we sell. We’re for the greater goodness.